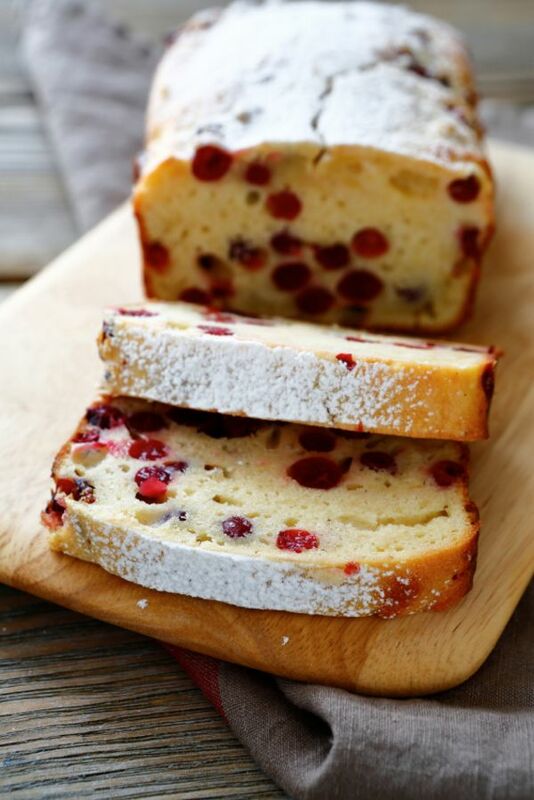 I do buy cranberries, usually to make the cranberry salsa or dip but then I stumbled upon a Cranberry Christmas cake which probably means I'll need more cranberries on my shopping list every year. But what I really like about this recipe, whether you are making it for yourself or to give away, it makes 2 loaves so you can keep one and give one as a gift or both if this is the second batch and there is just none left of the first. Okay so as an added touch I mixed some dried orange peel just to give a little something extra. You can do that or just leave it as is. Either way will work. These are lovely as gifts especially if you wrap them in that red cellophane stuff; however, I didn't think of that until last minute so I couldn't find any.